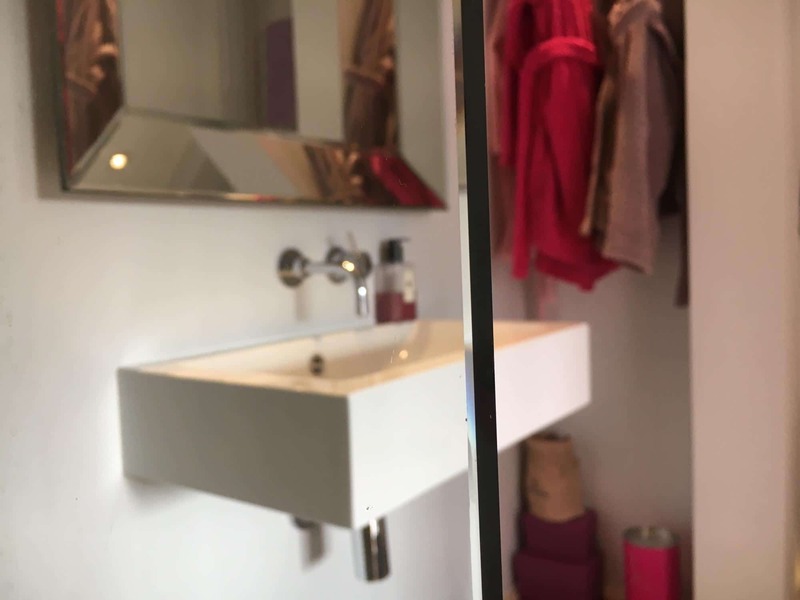 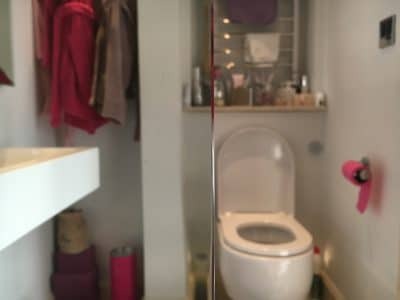 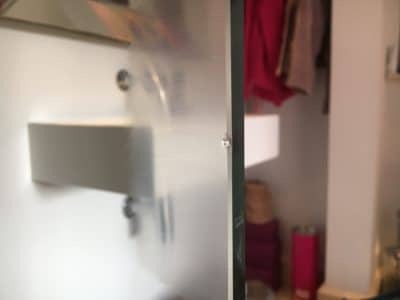 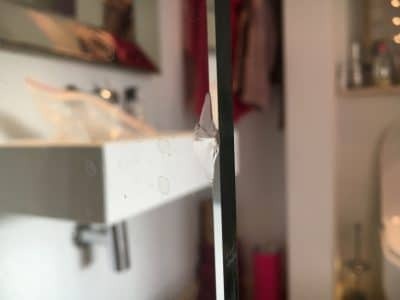 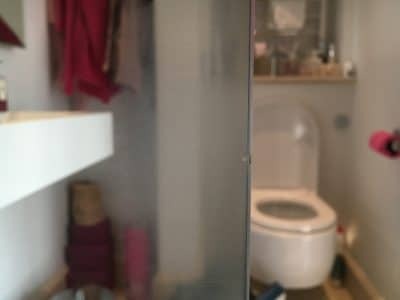 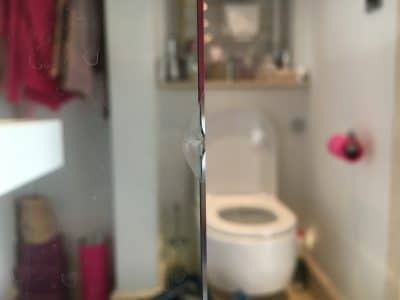 Edge chip repair in 10mm thick toughened glass shower screen leaves a clean, almost invisible repair with a safe to touch edge! Original chip is harsh and has a sharp edge. Close up of chip damage.